It’s the beginning of August, and around here that means school is about to start again. It also means the slower summer days are about to give way to packing lunch boxes, extra curricular activities, and schedule juggling. It’s usually on those busy evenings where the glow of a fast food restaurant sign seems like a beacon of salvation. But eating out frequently can really add up. That’s why I want to share some recipes for fast meals you can make at home after a busy day, and if you’re anything like me, gets you closer to the moment when you can put on your pajama pants and call it a day. Heat a large skillet over medium heat. Add a tablespoon of olive oil and the diced onions and garlic. Cook until the onions are soft, 2-3 minutes, then add in a pinch of red pepper flakes. Add another tablespoon of oil to the pan if it seems dry, and put in the meatballs. Cook until they have a little color on the outside, about 4-5 minutes. Add the chicken broth or wine and cook until reduced a bit, about 2 minutes. Add jar of marinara sauce and basil. Stir. 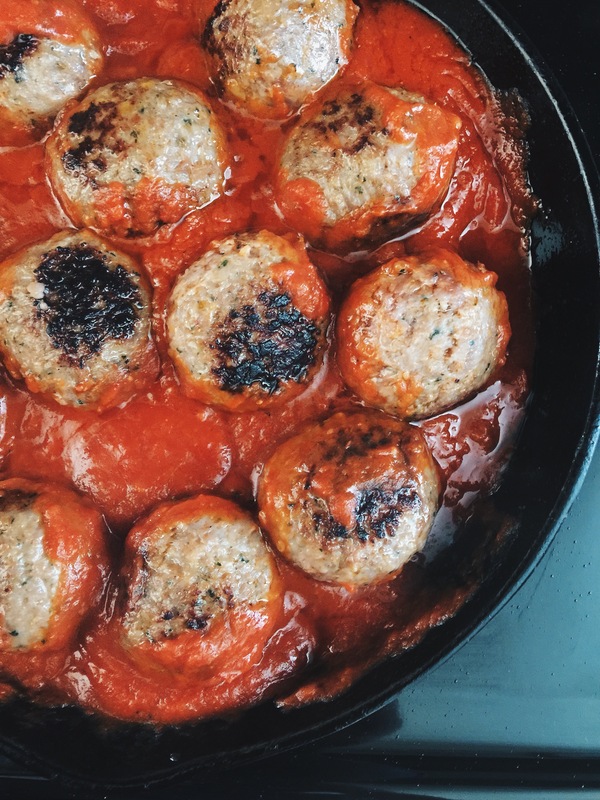 Reduce heat to medium low and let it simmer until the meatballs are cooked through (or warmed through if using pre-cooked meatballs) about 10 minutes. Season to taste with salt and pepper. 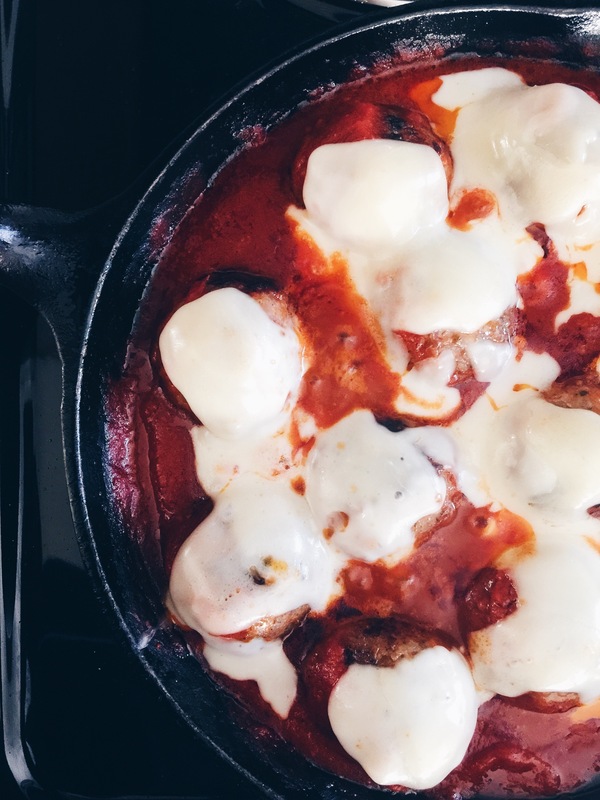 Place sliced cheese on top of the meatballs and sauce, and cover. Turn off the heat, and let the residual heat melt the cheese. Garnish with extra basil, if you’d like. Scoop the melty, cheesy goodness into bowls, put a piece of garlic bread on the side to mop up the sauce and with a green salad, consider dinner done. If you’re really running low on time, toss all of the ingredients except the cheese, into a slow cooker earlier in the day. Cook on low 4-6 hours, depending on your slow cooker. The meatball texture will be softer, but still delicious! Just place cheese on top to melt when you get home, toss the garlic bread into the oven, pull a container of salad out of the fridge, change into those pajama pants and get ready to dive in! Thanks for your comment and following the blog! I see you’re in VA… I grew up there! Yay! On the way to get meatballs! Looks sooo yummy and quick. Thanks! Thanks for commenting! I hope you’ll try it and love it!